Classified ads are FREE — send them to capecharlesmirror@gmail.com. Please include phone number or email address. Ads run for 6 weeks. Office for Rent in Cape Charles –900 sq ft. – will subdivide into two offices if desired. $800 for two connected office spaces, $400/$500 for one smaller/larger office. HIGHLY VISIBLE LOCATION – 718 Randolph Avenue, with off-street parking. Credit check, 2 references and tenant insurance required. One month’s rent with one month’s security deposit. Looking for wallpaper installation. Space is 7ft tall and 3ft wide. Please email me at ahrenfoster@gmail.com. Looking for Part-time work – I am semi-retired with over 28 years of secretarial/bookkeeping experience and am looking for a part time job in this field. Please contact Pam at 757-646-4043 or email at valaw4@msn.com. Resume and references available upon request. LAWN SERVICES: Coastal Lawn Services & Home Maintenance, LLC provides a variety of services including mowing, trimming, mulching, weeding and edging. We are a local, family owned business and are licensed and insured. Spring is right around the corner and we are currently taking on more properties in Cape Charles and surrounding areas. Whether residential or commercial, contact us for a free estimate! Loudoun Door & Window, Inc.
Cape Charles studio apartment (D Unit) $600/mo. – Available August 1 –2nd Floor – 712 Randolph Avenue, Cape Charles, VA. Efficiency kitchen, shared washer/dryer (with 2 other tenants). Off-street parking; landlord pays electric, water & sewer, garbage. No pets, no smokers or “vapers,” credit check and one month’s security deposit required. Tenant pays phone and cable TV. Two nice twin beds with boxspring and mattress. $400. Room for rent – room available in the duplex of Juliet aka 626 Randolph Avenue. Looking for someone interested in renting the master bedroom. It is the largest room in the house and faces the street. The duplex is already decorated and has three bathrooms. One has a shower in the downstairs and the upstairs has a tub. The price would be $625 a month. Preferably looking for a quiet female who doesn’t live a wild lifestyle with drugs or alcohol. There is also a six pound poodle that is hypoallergenic so you would have to be comfortable with dogs. NordicTrack T6.5Z for sale – In excellent condition. Has incline option. Road vs ground setting. iPod capable. FOR SALE 1994 FORD CUSTOM-BUILT VAN — Great condition, runs great, 4-seater, plus large area in back for hauling things. Price reduce to $1900. Call (757) 977-6378. LOCAL CLEANING SERVICE HAS OPENINGS! WEEKLY OR BI-WEEKLY. AFFORDABLE RATES AND EXCELLENT CLEANING. Call or text 757-333-2070 and ask for Pam. Kia 2004 sedan, dark green 4 cylinders, stick, new clutch, 110,000 miles, very good condition. $ 1000 or best offer.Cape Charles area. Call 757-710-5086. 1994 CUSTOM-BUILT VAN — Great condition, runs great, 4-seater, plus large area in back for hauling things. $4,740 or best offer. Call (757) 977-6378. Cape Charles,Cabs,Carts and Carriage – Full Service transportation/taxi service. Family owned, and operated licensed and insured taxi service here to serve you. Call us at 757-695-0954 or 757-693-2111/ taxi #27023. 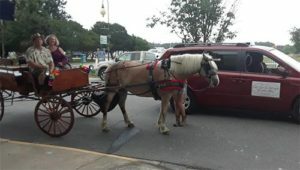 Either by minivan, golf cart or even horse and carriage we will get you where you need to go. Diamond Shine Cleaning is looking for an experienced cleaner to join the team – Must be attentive to detail, reliable and trustworthy. Seasonal position Saturdays and Sundays a must for cleaning of vacation rentals. Start date June 30th through Labor Day. All work is in Cape Charles. Pay to be discussed. Please do not respond if you are not available every weekend. Let Coastal Cleaning Services LLC take care of your cleaning needs – From move-in, move-out, weekly, construction cleaning, weekly rentals to pressure washing. Call for estimates we can meet your specific needs. Residential and commercial. Licensed and insured. 10 years experience. 757-710-7944 or 757-710-7856 . Cape Charles Resort Radio WCCR-THERESORT.COM is looking for Advertising Sales Executive. Needed: Previous outside sales experience, outside sales experience with Broadcasting or any Media a plus. Publishing skills (need the ability to create credible branded marketing materials for sales). Creative writing skills. Good Technical knowledge of Streaming/On Demand content, as well as its current status. A growth opportunity for the right person. Passion for delivering an excellent advertising campaign for a client on all levels a must. Non Disclosure Agreement required. Cape Charles Resort Radio WCCR-THERESORT.COM is looking for a Facebook Administrator. ON THE BAY CAR SERVICE is now available. Airport runs, shopping, Dining. Going out for drinks?. We will get you home safely. Late night pick up available. To our regular customers, please note our contact number has changed. Please call Linwood 757 999 0586 for bookings and more information. Cape Charles Wellness Massage and Spa Nails is owned by Julie Marshall. She provides pedicures for 25.00. Both manicures and pedicures for 40.00. Part-time Housekeeper wanted in Cape Charles – Housekeeper for Bed and Breakfast part time. Approximately 15 hours a week initially as needed but expanding to 25-30 hours during the summer. Must be able to work Saturdays and Sundays. Looking for experienced, self starter, efficient worker. Must have at least 2 references of people they have worked for. Salary negotiable depending on experience. Cleaning all rooms and bathrooms. Assist with making breakfast and serving. First Due Property Maintenance and Landscaping: First Due Outdoors LLC is a locally owned and operated company specializing in quality property maintenance. We offer Residential and Commercial service in Lawn Care (One-Time or Scheduled),Landscaping (Design and Installation),Mulch,Tree Trimming,Lot Clearing,Acreage Maintenance. Offering no-obligation estimates, we are licensed and insured, and have references available. Serving Northampton and southern Accomack Counties. Specialist in TILE – C W Tile & Design is owner operated which equates to premium service and product knowledge, we enjoy what we do! Over 35 years of experience. We offer our clients a vast selection of products in various price points. Tile, stone, glass, pebbles and custom closets, either over the counter sales or installed. 64 load Homemade Laundry Sauce $5.00 – We have a homemade whipped laundry sauce made from natural ingredients. Use just a tablespoon a load, and clothes come out very nice. Please give us a call at 484-602-1614 or email us at crabbygrannyboutique@gmail.com.